If there is one thing we can tell you about bike repair, it’s that you can do it too. 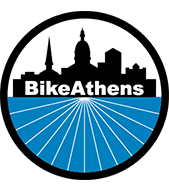 Every Thursday evening we invite anyone who needs help with their bike to come in for solid advice, access to our inventory of tools and spare parts, and a welcoming place to hang out. No repair knowledge required. We’ll show you how to do it if you don’t know already. We have almost every tool you’ll need to do just about any repair on a bicycle. We have used and vintage parts as well as basic new parts available for sale. We encourage you to buy specialty parts from your favorite bike shop if you need them. We always have snacks and tunes playing while we work.